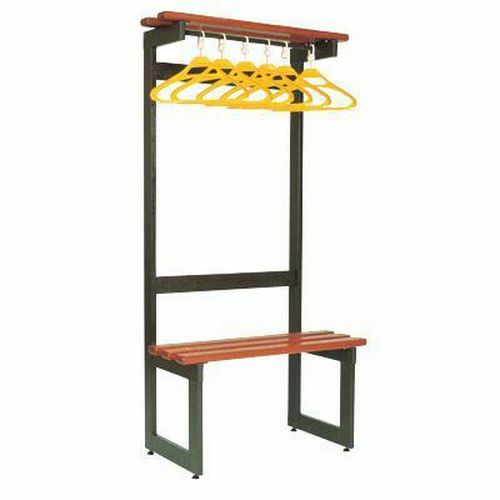 A range of high quality cloakroom equipment. Rigid and robust to withstand cloakroom wear and tear. Supplied flat-packed for easy self-assembly – nuts and bolts, plus assembly instructions included. Frames –welded square section mild steel tube, dark brown finish. Seats and shelves – polished, hardwood slats 70mm wide x 32mm thick, radiused on all edges. Comes complete with captive clothes hangers.